It is no secret that my family loves to fish. We are always looking for a better way to catch more fish while keeping our sanity alive. One thing that we don't get a chance to do as often as we like is fly-fishing. It is hard to keep track of all of the small feather-tied fly lures and with children, organization is key. My father used to go on week long trips to Mono Lake, California and New Zealand to try his hand at fly-fishing. I remember seeing his beautiful flies spread around his work bench in a jumble of feathers, hooks and string. At the time, I didn't understand the love that went into each fly that was a work of art. In fact, my sister loved the flies so much, she cut the barbs of 2 and made earrings out of them. 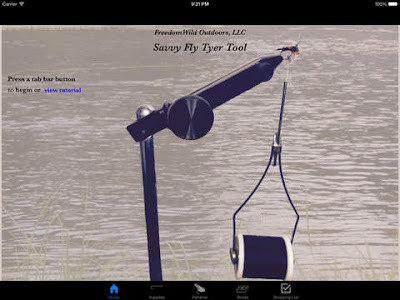 A new app on iTunes was brought to my attention to make fly-fishing easier. The Savvy Fly Tying Tool is a must have for anglers who tie their own flies. How do you keep track of which flies you have? Is your tackle box as messy as my fathers? Fly tying is an art that has been around since the 15th Century and there are SO many different ways and patterns to flies. Why make your art more difficult that it has to be? 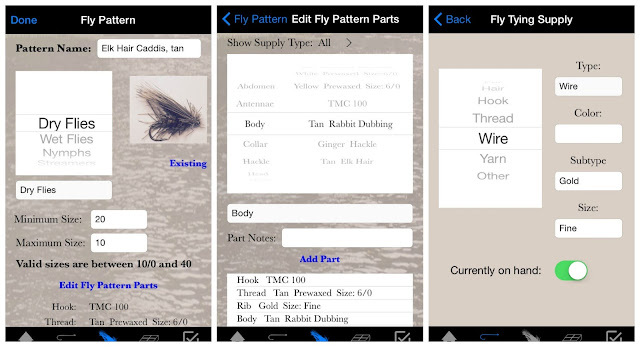 Keep track of all of your patterns, flies and more with this new modern day application. Whether you are on a dream fly-fishing trip to New Zealand or fly-fishing in the ocean catching sail-fish, this app will help keep you organized and catching more fish. 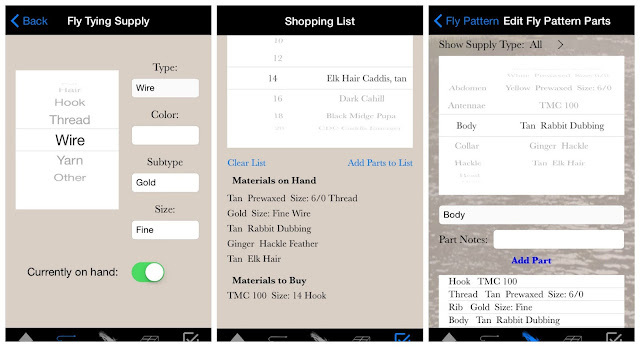 You can purchase the Savvy Fly Tying Tool at the iTunes App Store for here for only $1.99. DISCLAIMER: This is a sponsored post. All thoughts and ideas are my own.